NORRISTOWN, Pa. (WPVI) -- A Montgomery County man has been charged with buying and illegally selling guns over the course of seven years. 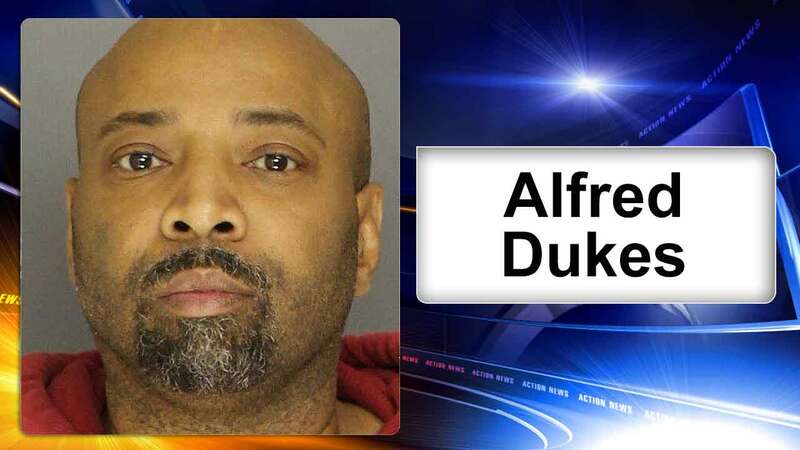 46-year-old Alfred Dukes, Jr. of Norristown, Pa. has been charged with 18 counts of illegal sale or transfer of a firearm. Dukes was arrested after authorities seized 19 guns in various locations, including New York City and Pennsylvania. All were purchased by and registered to Dukes between 2009 and 2016. The weapons included six 22 caliber handguns, nine .380 caliber handguns, two 40 caliber handguns, one 25 caliber handgun and a shotgun. Dukes was arraigned Wednesday in Montgomery County court. He is behind bars after failing to post $350,000 cash bail. A preliminary hearing is set for May 10.